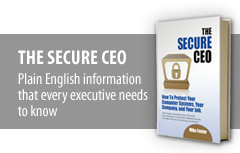 improve IT security for your agency, company or brokerage operation. has provided Fortune 500 companies to secure their data. policies, updates and much, much more. security breeches may be the next industry-wide disaster! is a noted international expert in data security. for a website notes page to complement the information in the interview. of the solution, not the problem.